Todays card is one inspired by my pregnant friend, she is expecting her second and I’m really excited. This beautiful stamp landed in my mailbox today so I just had to make something with it. The stamp is Kraftin’ Kimmie’s Caroline. I have used both the main image and one of the texts and the bottle. All the images have been colored with a mix of promarkers and Copics (copics are used on the skin and as one of the three petrol-colors). I did also add some small pearls on her hairclip. The embellishments on the outside is metallic brads and a ribbon i found in my stash. All the papers is Bo Bunny’s Peacock Lane. All the papers have been distressed with either Peeled Paint or Broken China. 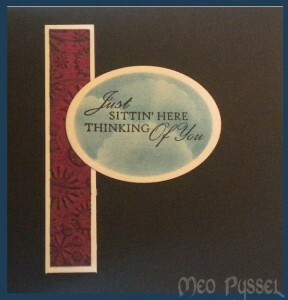 The card is a tealight card, another kind then the one i did the last time. I have made a template but in not happy with it, so i will try to make a better one on a later occasion so bare with me until that. You can find the template at the bottom (click to see it larger). 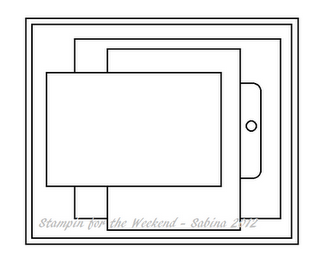 I did another size on my pocket then the template shows because i felt i needed a bigger one. 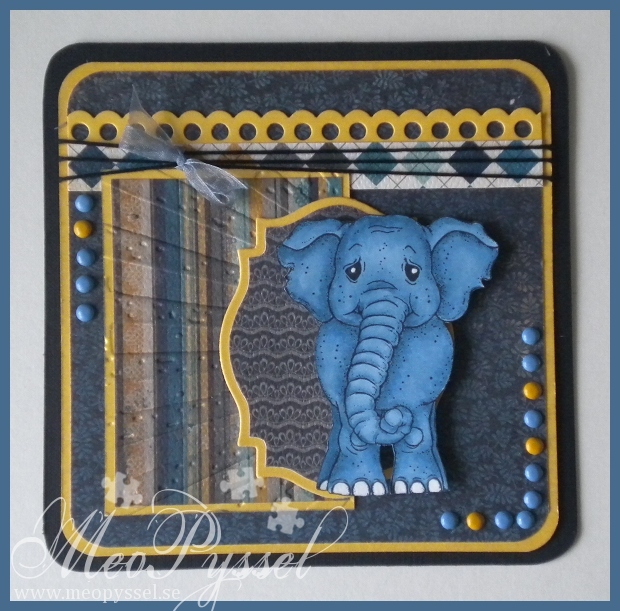 This kind of tealight card I first found the StampARTic site were there also is a very nice tutorial that my template is based on. On the inside I used the same papers and ribbon but adding a light purple bow (made with my bow easy). The scalloped edge on the pocket is made with a scalloped scissor. The purple bubbles are a extra from Provocraft’s alphabet Babyface. The heart-window is made with a Nestabilitie, the frame of the heart is made by me tracing around the edge of the die so i just got a bigger thin frame. The tags in the pocket is Magnolia’s Vintage tag the i have distressed with some Broken China. And by make a mistake i learned something so here is todays tip: Put the panel together first and glue it on the unmounted box, then cut the window and lastly assemble the box. I did the window and the box which made me make the window twice… Another goo thing to remember is that you don’t blue either the top or bottom flap when the box so the receiver can open it. 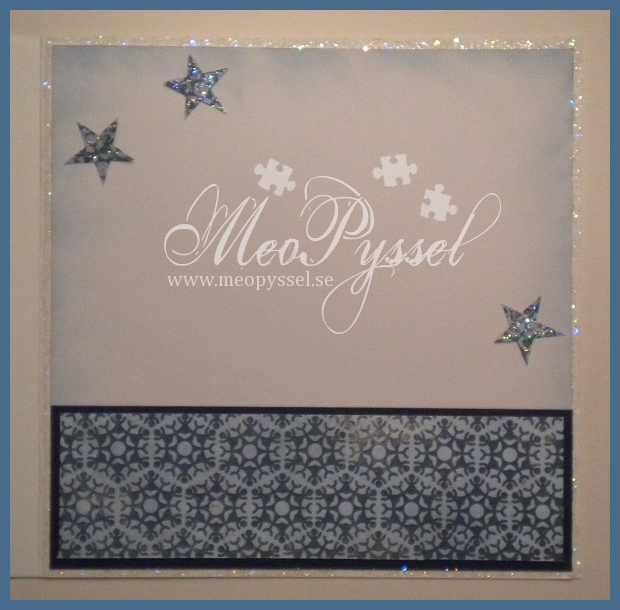 And here is a little picture of the card when closed. 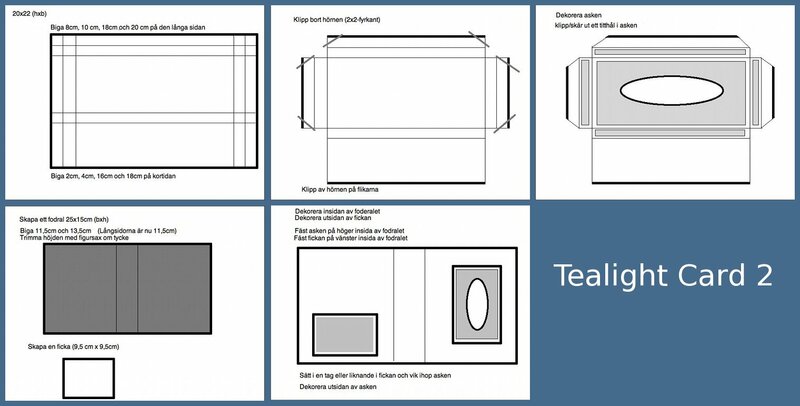 Something i don’t like with this kind of tealight card is that the tealightbox is so small that the edges probably will be bent in the mailing-process. I’m really happy with the colors, but they are very me so it’s not strange. 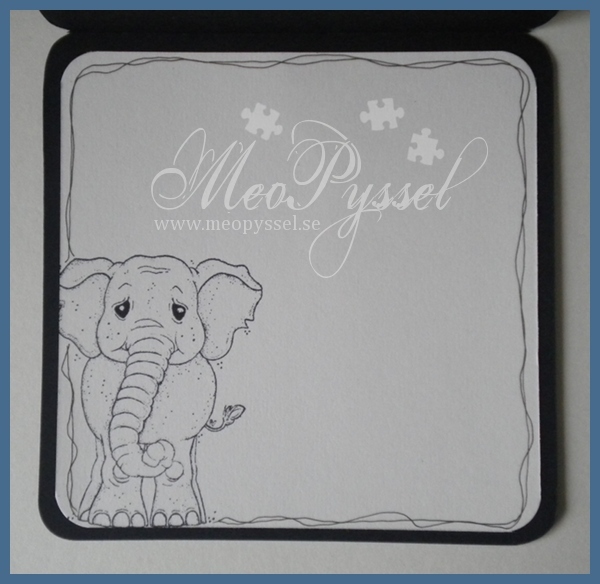 But i had another vision from the start which explains why i have the cream base for my card instead of something maybe petrol or green, but i think it looks good anyway. 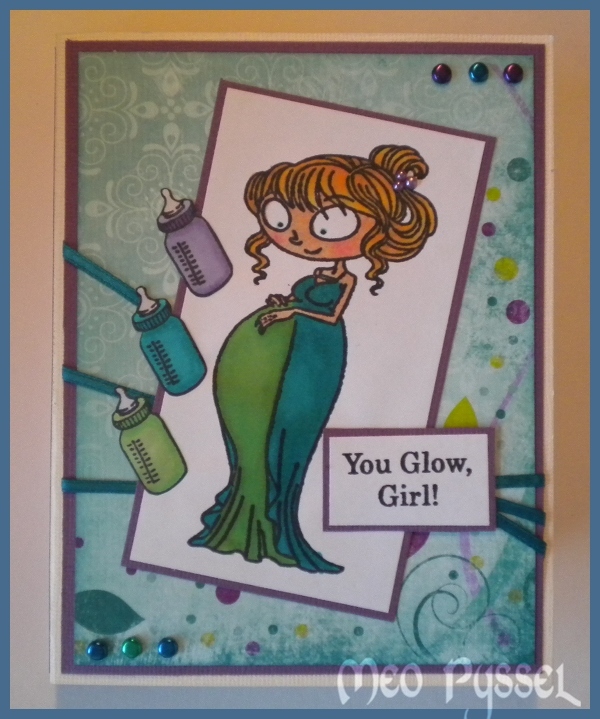 I’m also entering this card from this weeks Simon Says Challenge that is “Anything Goes”. 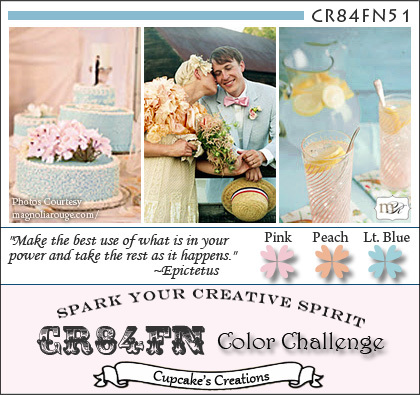 Todays card is made and inspired by the ongoing Basic Grey challenge. The theme of the challenge is recycled so i have recycled the ribbon used (it was from the beginning an embellishment on a skirt) and the pendant in the lower left corner (it’s an brokendown necklace). 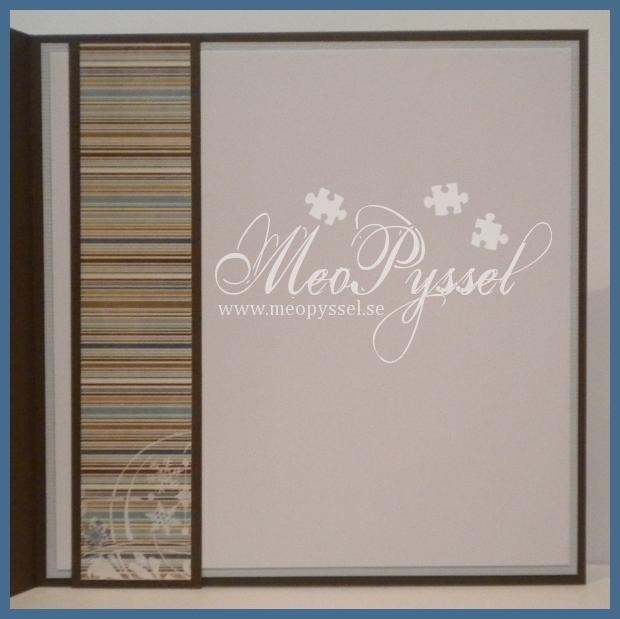 The Papers that is used are from Basic Greys collection Max and Wiskers. The words in the corners is a ribbon of unknown origin that i have distressed with Spiced Marmelade and then spritzed water on to make a more subtile color. The dots on the card, both yellow and orange, is brads of different brands. 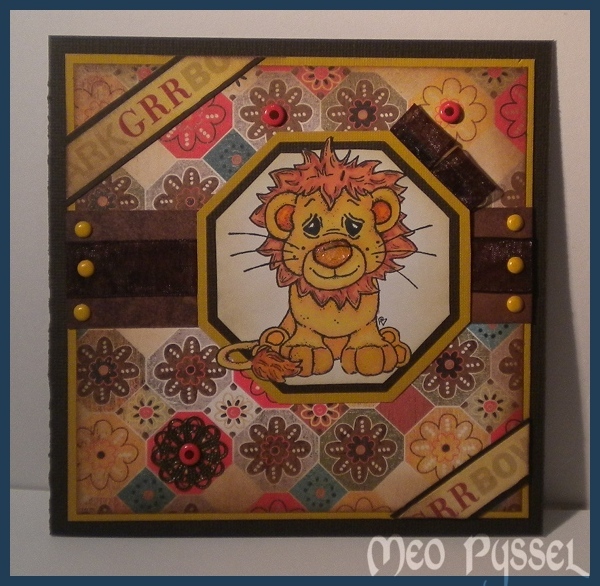 The image is Magnolias Lion and he is colored with Promakers (Mustard, Gold, Henna, Terracotta and apricot). The lions nose is coated with crackled accent but since i was a bit impatient i heated it with my heatgun and something happened that made it more like melted plastic then anything else. But my idea with it from the beginning was to create a texture like the nose of a cat and dog (and maybe lion?) i think it worked out OK anyway. 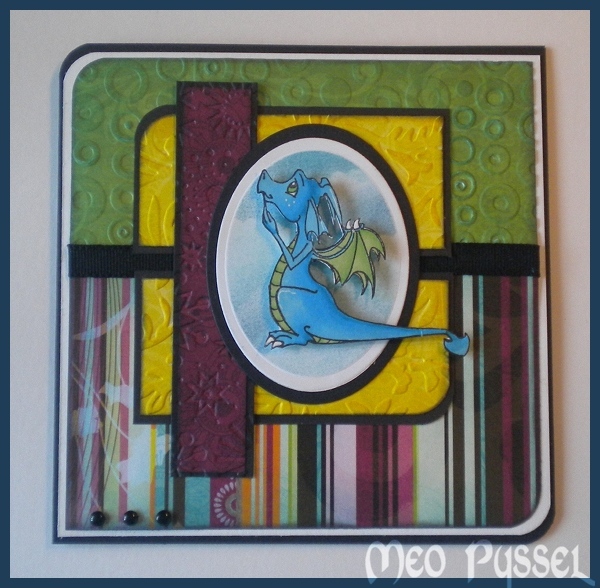 The frame behind the lion is made with nestabilities. The inner frame is made by tracing on the inside of a die, the brown one is the same die but run through my cuttlebug and the last and yellow frame is the same die again this time traced round the outside. I’m more and more often finding myself make a double frame on my card and i think that is a bit of waste of papers so i have started to cut out a square in the middle (in this card of the yellow backgroundpaper) and saving it for a later project. 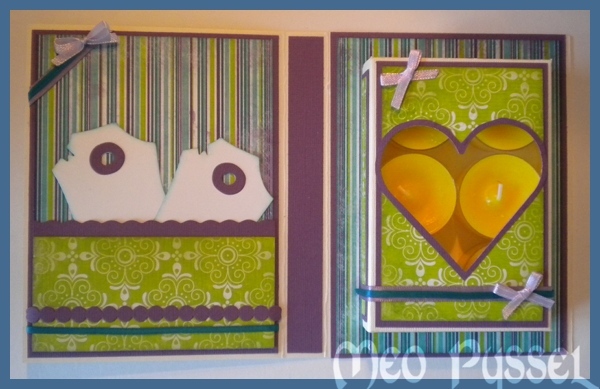 The first time i make this I thought that it might make the card unbalanced due to the layering in the middle of the card. But so far and with the bazilpapers that i most often use that isn’t a problem so i think that is a good tip for anyone that feels the need to save paper. 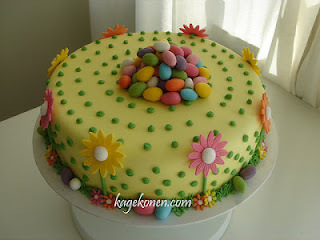 Nu har jag även gjort ett kort inför Andreas födelsedag nästa vecka. 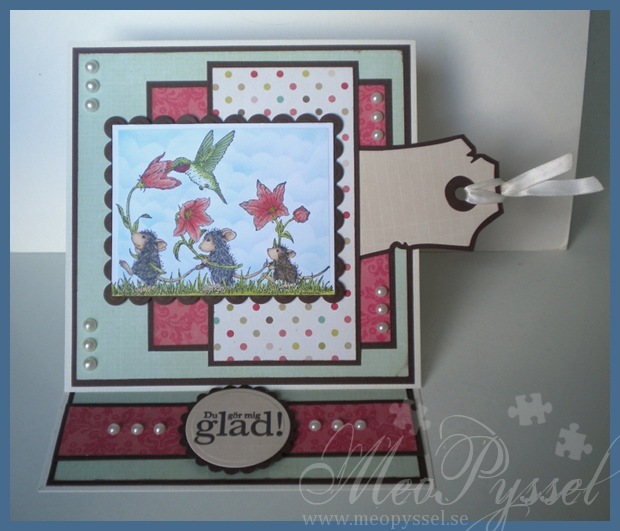 Jag har enbart använt Magnolias egna papper och motivet är Tilda in Spring Rain som är paper piecad med samma popcorn-papper som kortet har som bakgrund. Jag har med en ljusgrå promarker försökt att skapa lite skuggor. Gummistövlar och paraply är även täckt med glossy Accent och fickan är täckt med crackle accent för att skapa en liten kontrast. Bollarna som är strödda lite överallt skall föreställa både popcorn och snö. Runt Tilda har jag distressat med Antique Linnen. Hälsningen Grattis är gjort med hjälp av bokstavspärlor från Panduro. 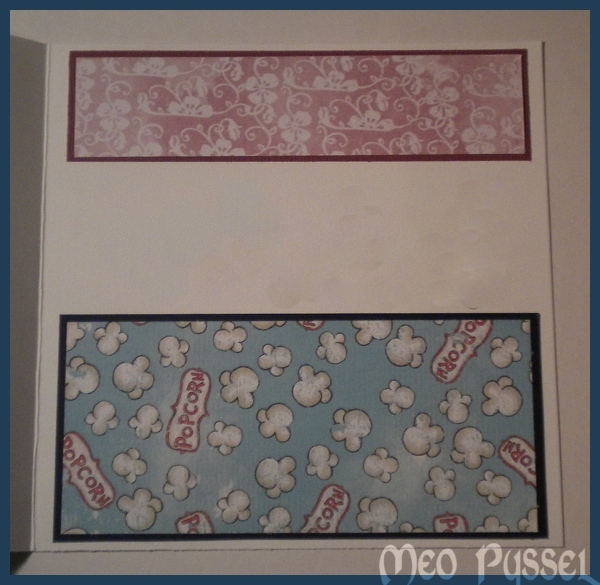 Jag gillar verkligen hur jackan ser ut med popcorn-pappret, jag tror jag måste paper pieca lite mer. På insidan har jag fortsatt med samma papper och lämnat ett lite utrymme för en hälsning. Jag har försökt att censurera bort min hälsning och det är därför som färgerna ser lite konstiga ut i mittdelen. The second card of today is for my small friends birthday next week. 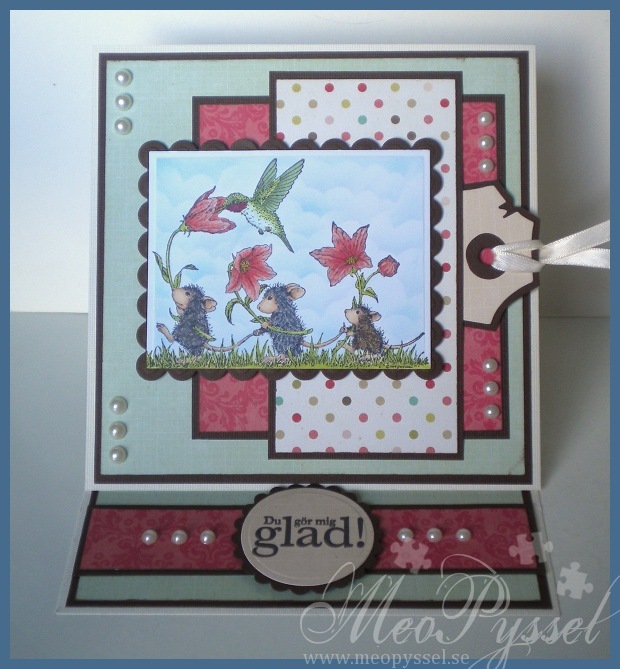 I have used Magnolia papers and the stamp Tilda in Spring rain. I have been paper piecing the cloth of Tilda and I also tried doing shadown with a grey promarker. The wellis and the umbrella is covered with glossy accent and the pocket is covered with crackle accent to both bind and make diffrence between the diffrent clothpieces. 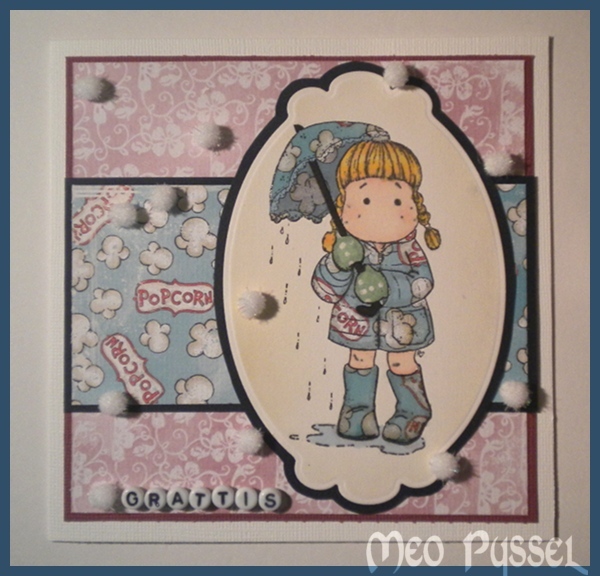 The cottonballs alla over the card is trying to symbolize both popcorn and snow. The Image shape is nestabilities and it have been distressed with Antique Linnen. The sentiment is letter beads from Panduro. 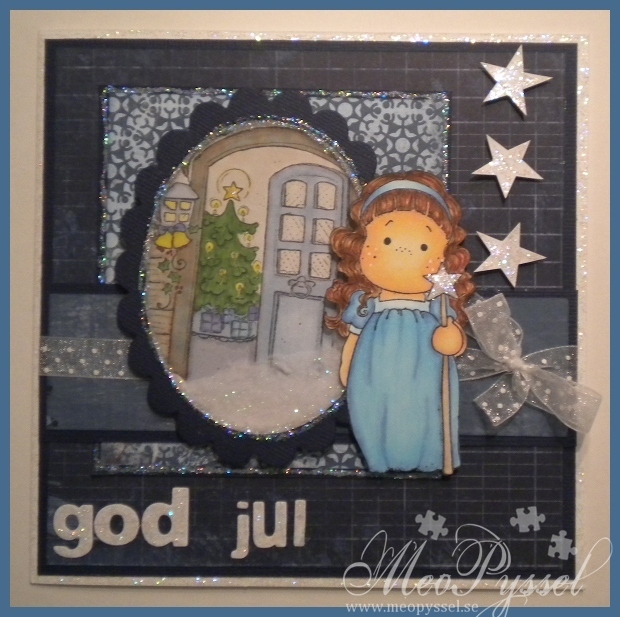 On the insida i have keept going with the same papers and just tried to frame the greeting. I have censured out mu greeting and that why the colors in the middlepart looks a bit off.